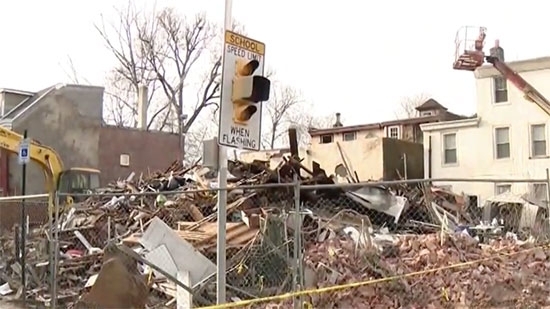 An investigation is underway after the partial collapse and subsequent demolition of a 94-year-old woman's Fishtown home over the weekend. Clovena Klenk has lived on the 600 block of East Thompson Street for 60 years. On Friday, Klenk was at home at 635 Thompson Street with two of her children and a home aide when the whole house shook and sank several inches leaving large cracks in the walls. The City of Philadelphia Department of Licenses and Inspection says the contractor working at the adjoining and unoccupied 633 Thompson Street was licensed by did not have the proper permits to perform the work they had been doing to the foundation wall. That work undermined the integrity of both houses. The Klenk family did not have much time to salvage decades of memories from the house before it was taken down and are now left to pick up the pieces. The investigation is ongoing to determine who is responsible and to hold them accountable. A New Jersey mother accused of killing her toddler son told police that she hit him because he wouldn't eat or listen. Nakira Griner is charged with murder and other counts in the death of 23-month-old Daniel Griner Jr. On Friday evening 2/8, Griner initially reported to police that she had been attacked while walking her son and that the child had been abducted. A large manhunt was organized. Around 3 a.m. Saturday 2/9, the burned and dismembered remains of the boy were found burned under the shed right in Griner's yard. She is currently being held in Cumberland County Jail. She is scheduled to appear in court Thursday for a detention hearing. A 21-year-old man died after falling at ski resort in the Lehigh Valley on Sunday, 2/10. It happened at Blue Mountain. The skier was in the terrain park and fell after going over a snow jump. He was not wearing a helmet. He was pronounced dead at Palmerton Hospital. Two others have died this year while skiing in the Poconos. Last week, 80-year-old Rudolf Huber died after falling while skiing at Camelback Resort. 17-year-old Connor Golembiewski died after falling off a chairlift at Blue Mountain on New Year's Day. 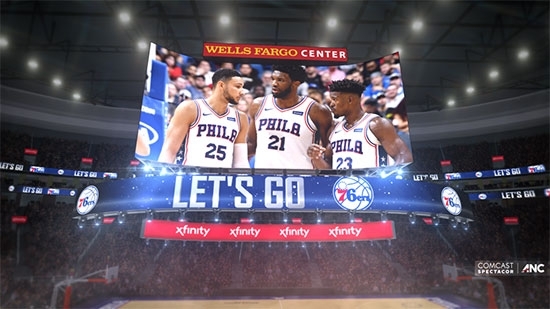 The Wells Fargo Center in South Philadelphia has announced that it will be installing a new scoreboard for next season. The Kinetic 4k center-hung entertainment system will be ready in time for the 2019-20 seasons for the 76ers and Flyers. It will be the world's first Kinetic 4k center-hung system in a professional sports arena. "Comcast Spectacor is proud to highlight the next phase of the Wells Fargo Center's 'Transformation 2020' initiative with the first Kinetic 4K center-hung ever to be installed in a professional sports venue," said Valerie Camillo, president of business operations for the Philadelphia Flyers and Wells Fargo Center. "Together with technology partners like ANC and Comcast, the Wells Fargo Center continues to innovate and further our commitment to be the most technologically advanced arena in the world." Wells Fargo Center to Introduce the World’s First Kinetic 4K Center-Hung Scoreboard.